We are a sports nutrition company currently casting attractive males/females to participate in a 17 week total body transformation series. 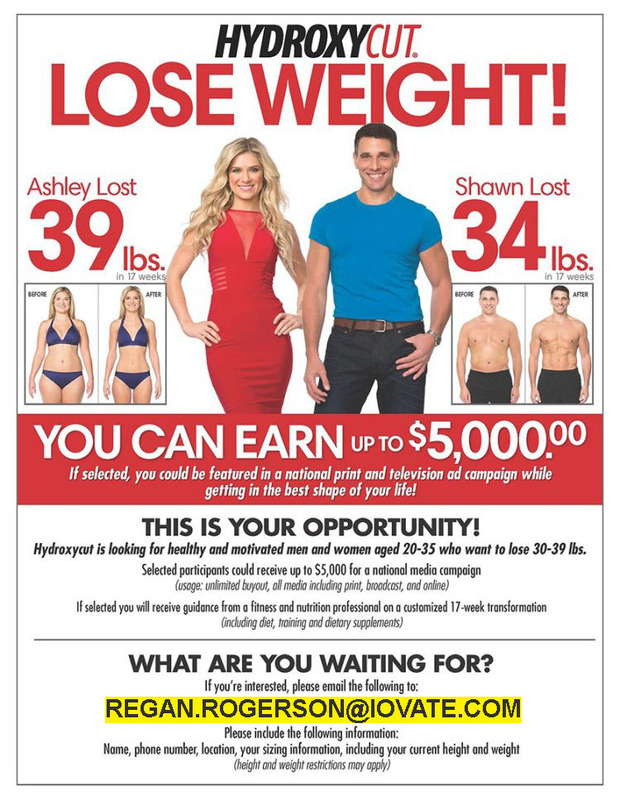 This is a GREAT opportunity to work with an Elite online trainer, receive a progressive diet and training routine and weight management support products guaranteed to get you in the best shape of your life! Attractive Men and Women approx 20-40lbs overweight. PLEASE NOTE CASTING WILL TAKE PLACE THE 1ST WEEK OF JULY SO BE SURE TO APPLY EARLY!